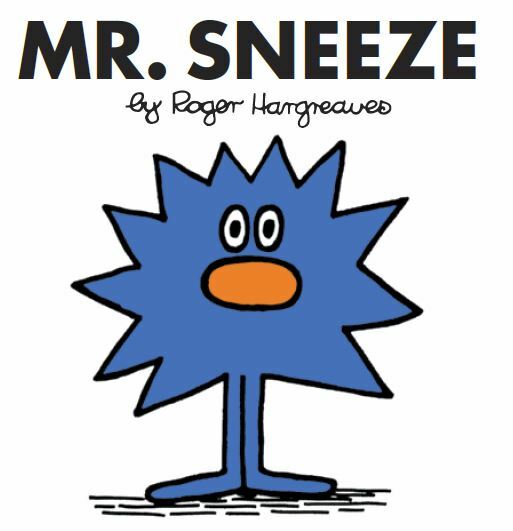 Famous glasses-wearers in children’s fiction. 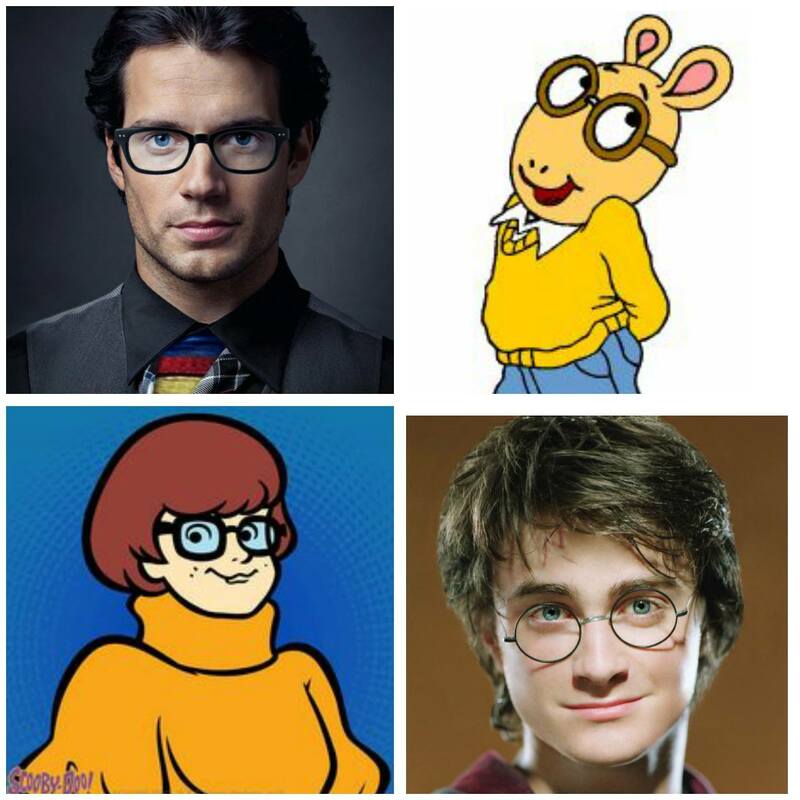 Clockwise from top left: Clark Kent/Superman, Arthur, Harry Potter, Velma. Some people wear glasses because they’re long-sighted (hyperopic), which means that they can see distant objects clearly but find it difficult to focus on things close to them. Some wear glasses because they’re short-sighted (myopic) – they can see close objects perfectly well but struggle with focusing on things further away. Depending on your eyesight you may need to wear glasses all the time, or maybe just in certain situations like driving or reading. But how do glasses help us to see better? First let’s discuss how eyes actually work. Put simply, light is curved as it enters the eye through the cornea (pronounced corn-EE-uh) and pupil, and passes through the lens. This is called refraction. It’s then focused on a layer of cells at the back of the eye called the retina, and these react to the light. The brain responds to this reaction and interprets the image. The eye is both simple and complex. (Image found here). If the pupil or the cornea are curved too much or not enough, the light isn’t focused directly on the retina. In someone who’s long-sighted the point of focus is slightly behind the retina, which is why closer objects appear blurred. If a person is short-sighted the light is focused just in front of the retina, leading to distant objects appearing fuzzy. Sometimes the eye has an irregular shape which affects its ability to focus; this is called an astigmatism (pronounced uh-STIG-mat-ism). All of these problems can be corrected by wearing glasses. The glasses lens is curved, which means that light passing through it is already refracted when it reaches the eye. Thus the eye’s natural ability to curve the light is enhanced, allowing the light to be focused correctly onto the retina. 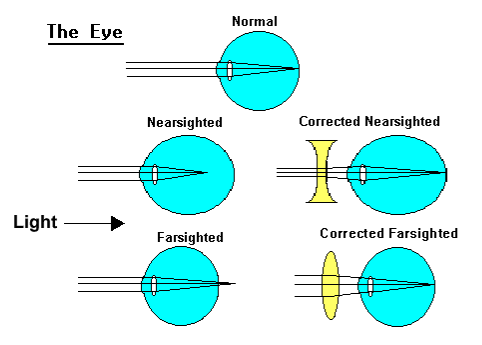 As you can see from the diagram below, someone who is short-sighted will need a concave lens on their glasses (curved inwards) so that the light is bent more towards to top and bottom of the lens. This means that when the light passes into the eye the focal point is further back and correctly focused on the retina. Someone who is long-sighted requires convex lenses (curved outwards) so light is directed more in towards the centre of the lens. This brings the focal point forward, once again allowing the retina to correctly process the image. The thickness of the lens on the glasses can be changed depending on the wearer’s need; someone with particularly bad eyesight will need a far greater correction than someone whose eyesight is relatively good, so the lens will need to be thicker. Different shaped lenses are needed to correct different kinds of vision problems. 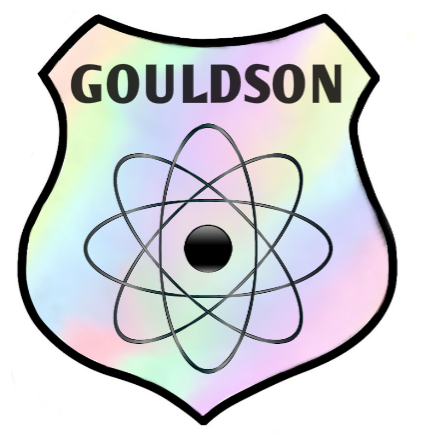 (Image credit: University of Washington).